In addition, the report presents the findings of an organisational audit. This evaluated the current arrangement of hospital vascular services, which are in the process of being re-organised into vascular networks in England and the degree to which services were meeting the organisational standards described by the 2015 “Provision of Services for Patients with Vascular Disease (POV)” document from the Vascular Society of Great Britain and Ireland [VSGBI 2015]. 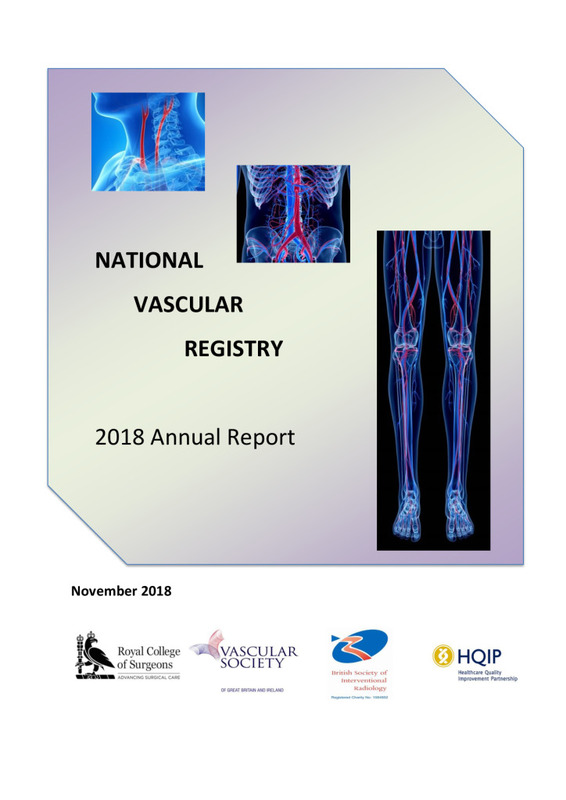 Being a procedure-based clinical audit, the NVR is designed to evaluate primarily the outcomes of care, with the aim of supporting vascular specialists to reduce the risk associated with the procedure. Short-term survival after surgery is the principal outcome measure for all vascular procedures, but the report also provides information of other outcomes, such as the types of complications that occur after individual procedures.